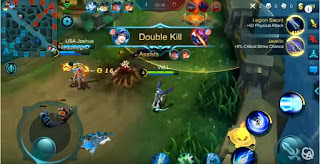 Mobile legends is a moba game each player must have enough skill for playing this game. Because if you do not enough skills, your team will be defeated. So you have to make sure you have enough skills. Talking about players who not have skills or noob, you must have got the player in a team. If you get this player, you do not have to rely on that player. We recommend you have to play optimally to reduce the lack of strength on a team. This type of player you should get in the team for every time. When the game has entered the stage of hero election, That annoying thing happened. Usually they will pick a hero type marksman or asassin. 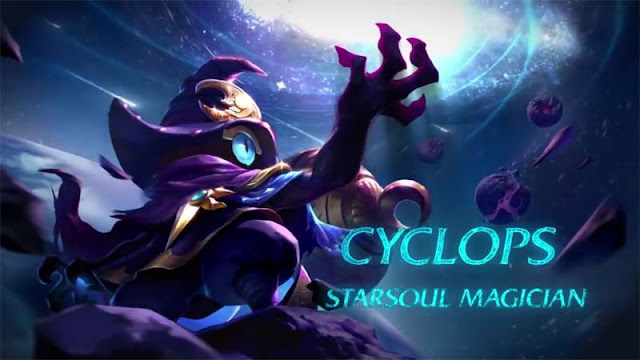 This will be a problem if a team has many of these heroes. Ideally a team has enough one marksman and one asassin. 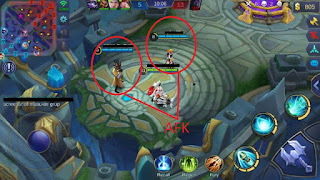 Afk or away form keyboard is a player who does not play any more games. If there are players afk in a team, it will be problem. The team will lose one player that will impact on the diminishing strength of a team. Probably many factors that make them do this like bad sinyal, low batrai or more. But whatever the reason they should check the phone first before playing, so as not to make the team did not experience defeat. The next is a slow player in responding when there is war. You must have gotten friends in teams that have no response at all. When some of our team members are going on a war with the enemy, suddenly there is one or more members of our team who do not come to help against the ongoing battle. Yes this is the person who called slow respown, they are very cool at all just cool with their busyness. This type of player is still vague, whether they can help or not in a team. 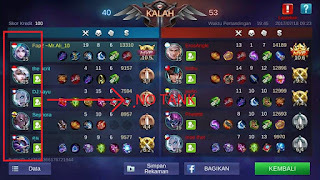 Because throughout the game they are only busy to destroy the opponent's turret just do not care about the ongoing battle. 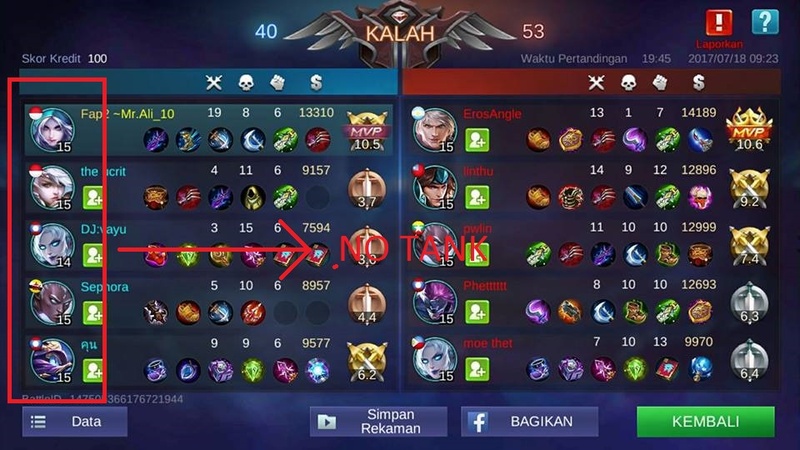 When we get the type of player who only target the turret only, of course we will lack team members when happen war. We only have 4 players in the team to fight the enemy team with 5 players. If we lack one team member of course we so hard to win the battle, Even bad things will happen, all team members will die. Because it is very unlikely to win the battle of 4 players vs 5 players. Players of this type are also often found when playing games, sometimes they not use skills on their heroes. 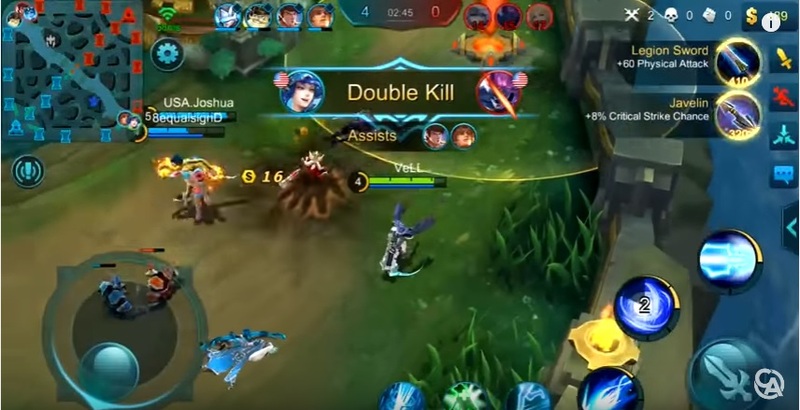 One of the goals when they are not using a skill is to get a kill by using their skills for the last hit hero, so that the attack received the enemy to the maximum.